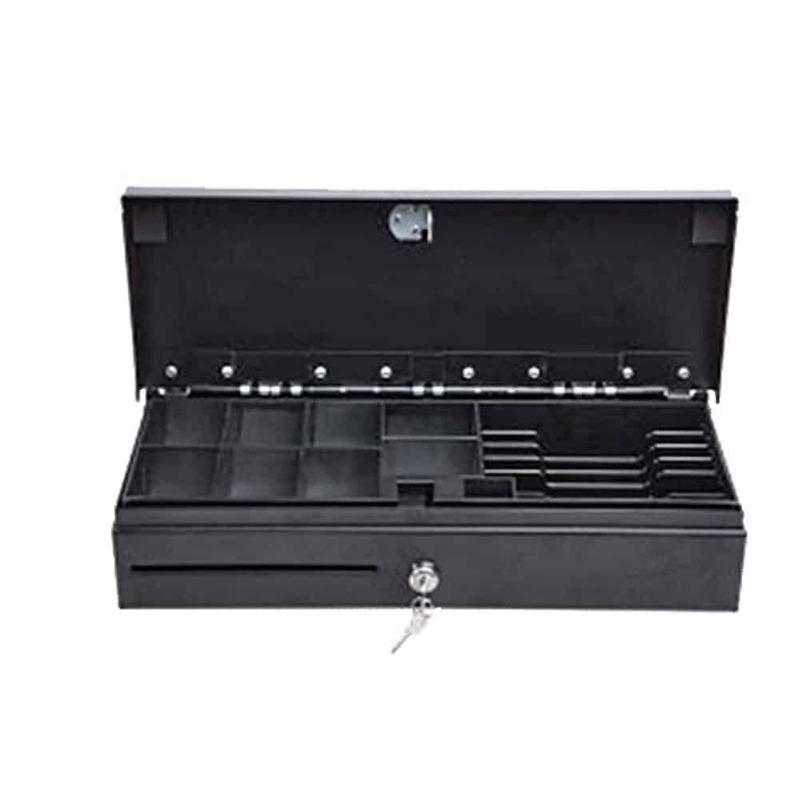 A 460mm Flip-Top openning cash box. All FT460 Flip-Top series come standard with a cash tray designed for multiple types of currencies, such as $CAD, $USD and EURO. Built from sturdy quality metal and premium grade, the FT460 are also built small for your convenience. 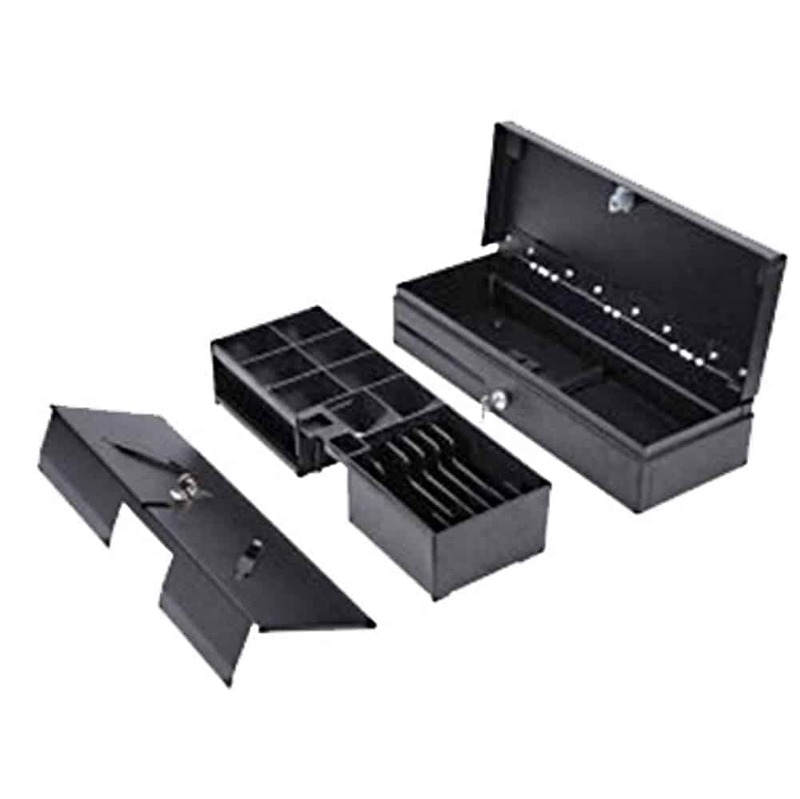 FT460 cash boxes come standard with metal bill clips for increased durability. All Flip-Top FT460 units come equipped with a micro-switch to detect the open/close status, as well as a standard printer kick-off RJ11 cable.